Officially licensed US National Soccer Team Single of Mia Hamm. Considered the greatest women's football player of all time. 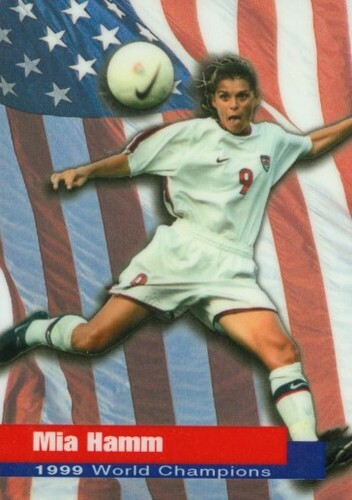 This single is from USA set that won the Gold in the 1999 Women's World Cup of Football (Soccer). Mia Ham cards will always go up in value. Why? You know why.